Jim Stith wins the Taft-Schuler Award for Outstanding Dedication and Commitment at the 2010 Lincoln Reagan Dinner. The Government Financial Officers Association has awarded Jim Stith, Norwood City Auditor, the Award for Excellence in Governmental Financial Reporting for the 2008 Comprehensive Annual Financial Report. 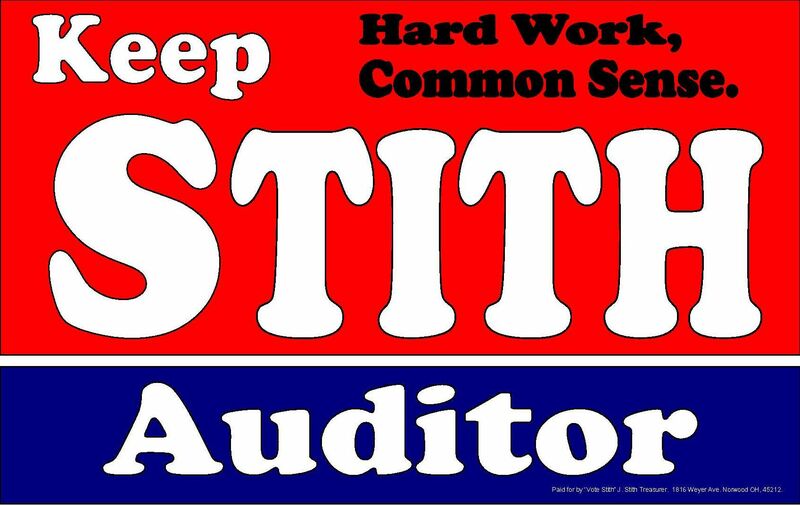 Jim Stith is the endorsed Republican Candidate for Norwood City Auditor in 2011. Paid for by: "Vote Stith" Jennifer Stith, Treasurer. 1816 Weyer Ave. Norwood, OH 45212.